I’m off to NYC for the long weekend to reunite with some very dear friends. My excitement is beyond containment. I plan on eating well and laughing hard. If you want to find me, I’ll probably be in the recently opened Laduree. “Very dear friends” clearly means macarons. 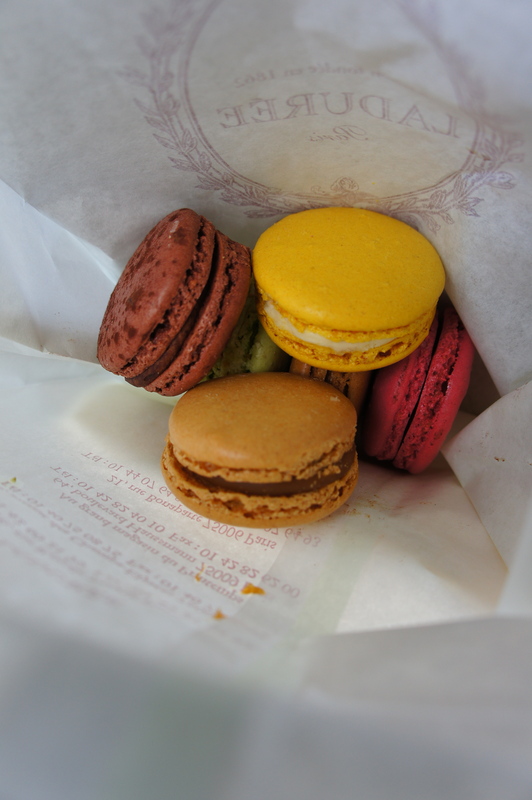 I managed to get macarons at every location in Paris (and London). A true accomplishment! Any suggestions for places to eat and see? Sounds like so much fun! Enjoy! !